God is a divine communion of love, eternally existing as Father, Son and Holy Spirit, we can be certain that there is no lack or necessity in God. God did not create us to fill a void or need in the Godhead; rather, God created us as an act of overflowing love, for by its nature God’s love cannot be contained; it reaches out in self-giving for us. God created the world in order to share his divine life and love with all humanity. The doctrine of the Trinity is a Biblically based attempt to express the eternal nature of God whom the New Testament describes as “love” within the limitations of human thought and speech. God’s self-revelation as Father, Son and Holy Spirit is finally God’s self-witness to his eternal, loving purpose for the whole world. Most importantly, the doctrine of the Trinity is the assertion that God is antecedently and eternally the same God who has revealed himself as Father, Son and Holy Spirit. In short, we know who God is from what he does. There is no other God than the loving Father who has loved us to the uttermost in the sending of his Son and the gift of the Spirit—all for us and for our salvation. Martin M. Davis, PhD. 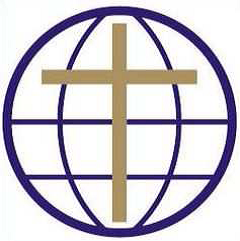 is an ordained minister in All Nations Christian Church International. Personal Worship – That’s what our lives should be about. Scripture encourages us to live a life that glorifies our Lord in all we do, acknowledging that He is who we desperately need…our Savior, provider, encourager….and telling Him that! Worship is praising God for all He has done in our lives, is doing and praising Him for the promises of things He will do for us, our families, and our church. He is OUR HOLY, AWESOME GOD and SAVIOR, who has given us LIFE NOW and FOREVER. Worship should be an important part of our daily lives, taking time to tell God we love Him and appreciate Him; taking time to let Him know we depend on Him and need Him this day. HE ALONE IS WORTHY OF OUR PRAISE. Sometimes God sends the brilliant light of a rainbow to remind us of His presence, lest we forget in our personal darkness His great and precious promises to never leave us alone. Josh & Heather McDonald – Prayers as they go through some difficulties with family matters and caring for her parents in Wisconsin. GCI Conference Oct 13-17 – held in Charlotte, NC – will include the passing of the baton from Joseph Tkach to Greg Williams. Additionally most of the GCI international Mission Directors will be there for meetings. Prayers that all goes well and the international leaders have no delays make the trip.